A new study looking at survival rates of black, Hispanic and white children finds that racial disparities for some cancers can actually be explained by socioeconomic status. The study, published earlier this week in the journal Cancer, explores the most common types of childhood cancers to determine if underlying differences in income, education and occupation account for racial and ethnic differences in survival rates. The study was led by epidemiologist Rebecca Kehm and researchers at the University of Minnesota School of Public Health and the Masonic Cancer Center. 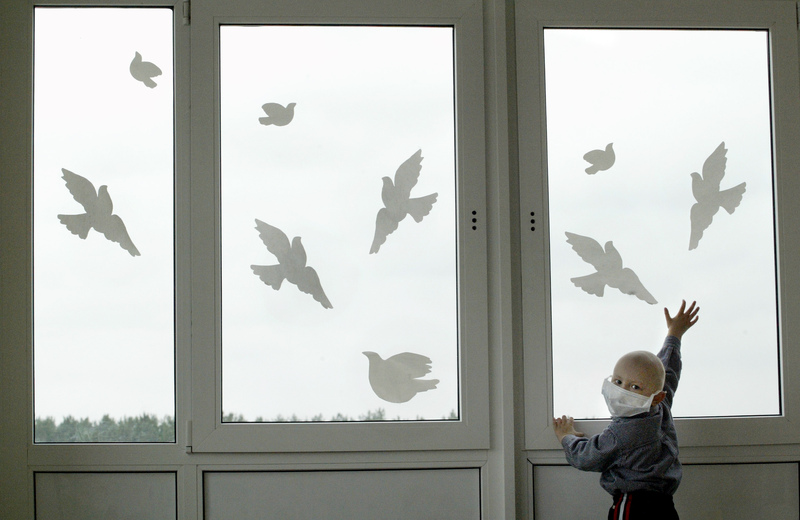 The study analyzed five-year survival rates for common childhood cancers. Across the nine cancers with significant racial disparities in mortality, black children were 38 to 95 percent more likely to die than their white counterparts. What fascinated Kehm was that for four of the most common childhood cancers, socioeconomic status accounted for the gap in survival between black children and white children and between Hispanic children and white children. The researchers found that socioeconomic status accounted for 28 to 73 percent of the racial and ethnic survival disparity for acute lymphoblastic leukemia, acute myeloid leukemia, neuroblastoma and non-Hodgkin’s lymphoma. This is actually good news, Kehm said. She noted that for the childhood cancers where socioeconomic status was a factor, it is possible survival rates could be improved at a community level through increasing health education, expanding health insurance and helping families with transportation and child care costs during treatment. For example, acute lymphoblastic leukemia — one of the cancers where socioeconomic status could explain some of the survival disparity between black and white and Hispanic and white children — requires a full year of maintenance therapy. “So families have to continue to come back to the clinic to receive treatment,” Kehm said. “For a low socioeconomic status family, that’s very hard to maintain that rigorous treatment, especially when your child appears to be, by all accounts, cured.” More affluent families are better able to maintain such a treatment regimen, which could explain their higher survival rates, she added. For the study, the team examined population-based cancer survival data from a national database that combines different states’ cancer registries for black, white and Hispanic children, ages 0-19 years, diagnosed between 2000 and 2011. Among the 31,866 patients identified, white children had a significant survival advantage over black and Hispanic children for several childhood cancers. Kehm also detailed the study’s limitations. She said because childhood cancer is rare, it is difficult to get a lot of data at the population level. And the database they used classifies socioeconomic status by census tract, a pretty broad measure. Not all cancers are alike. The team found that socioeconomic factors did not significantly contribute to racial and ethnic disparities in the survival of central nervous system tumors, soft tissue sarcomas, Hodgkin lymphoma, Wilms tumor and germ cell tumors. “So that suggests that there really are multiple factors, not just socioeconomic status, that are contributing to these differences,” said Kehm. She said more research needs to be done on the underlying differences in tumor biology and drug processing. “This is the tip of the iceberg of trying to get [at] what are the determinants of these outcomes,” Kehm said. Colleagues in cancer, epidemiology and public health say the study advances the understanding of childhood cancer disparities. “Dr. Kehm's work is an important contribution, because she determined that poorer cancer survival among children of color is in part explained by lower socioeconomic status,” said Julia Heck, associate professor of epidemiology at UCLA Fielding School of Public Health. “This would suggest that addressing structural barriers to early diagnosis and appropriate treatment may improve survival among black and Hispanic children. This could include relatively simple steps, such as providing reliable transportation to doctor's visits or assistance with copayments or other medical costs. Expanding health care coverage should also help to lower these differences in survival.